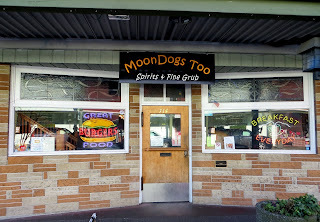 Port Orchard, originally "Sydney," is the oldest incorporated community in Kitsap county, and Moondogs Too is housed in a building constructed on the main business street in the early 1900s, shortly after fire had destroyed most downtown businesses in 1895, and after Sydney won a battle with nearby Charleston in 1903 over which town could rename itself "Port Orchard." 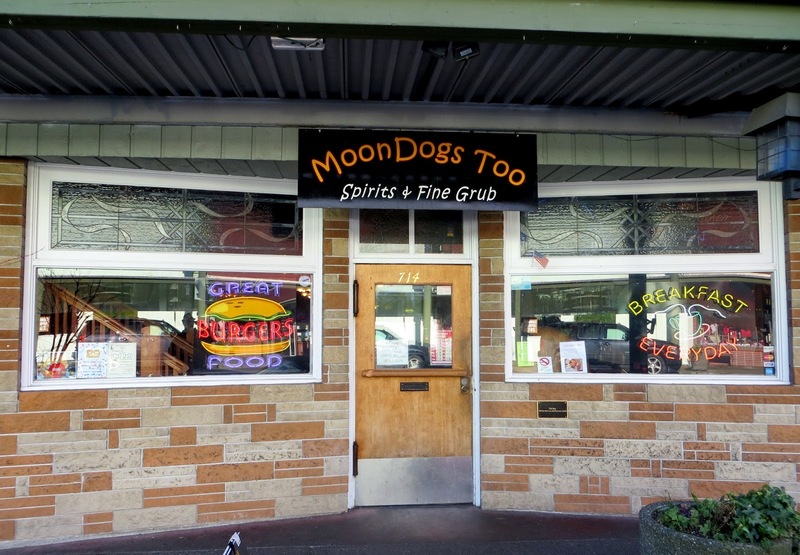 According to the Moondogs web site, it was originally the Port Orchard Pool Hall (e.g. 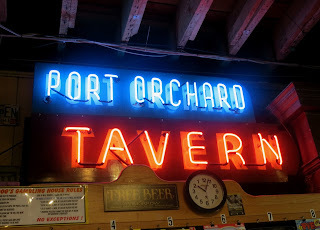 listed in 1938 and 1942 city guides), became the Port Orchard Tavern in the 1950s, the Harborside from 1999 to 2004, and MoonDog Bar and Grill in 2005. 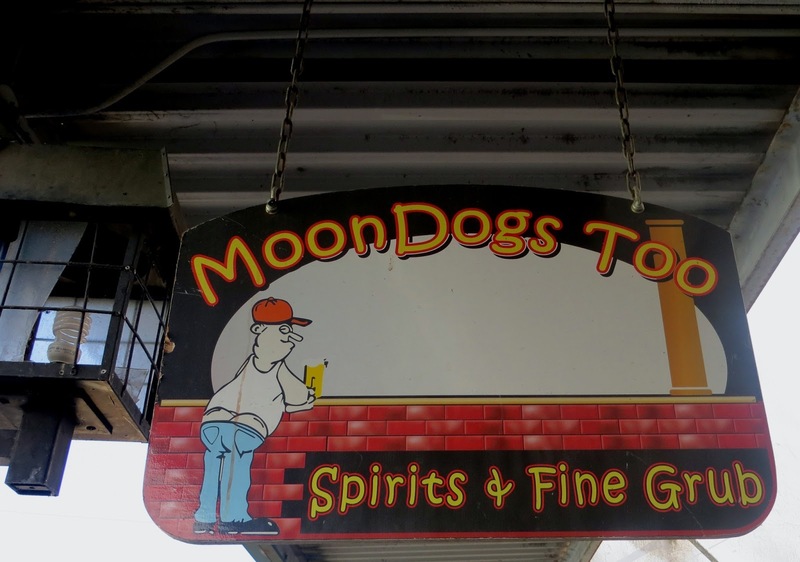 The current owners liked the MoonDog name, and adopted it in slightly modified form when they acquired the place in 2007. MoonDogs Too now seems to center the small, somewhat touristy downtown area of Port Orchard (which could nevertheless require a lot of police activity on certain evenings). 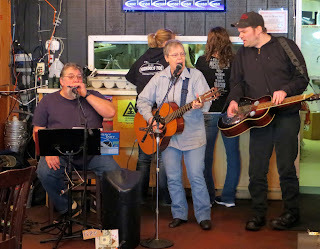 They serve fairly broad selection of mostly typical bar food and drink options, and host open mike nights and booked acts on weekends -- playing either in a small area of the first floor, a stage area upstairs, or on a pleasant patio. 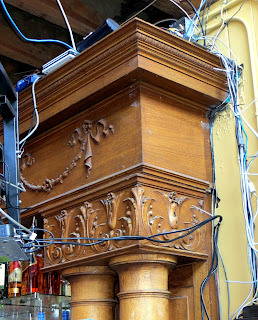 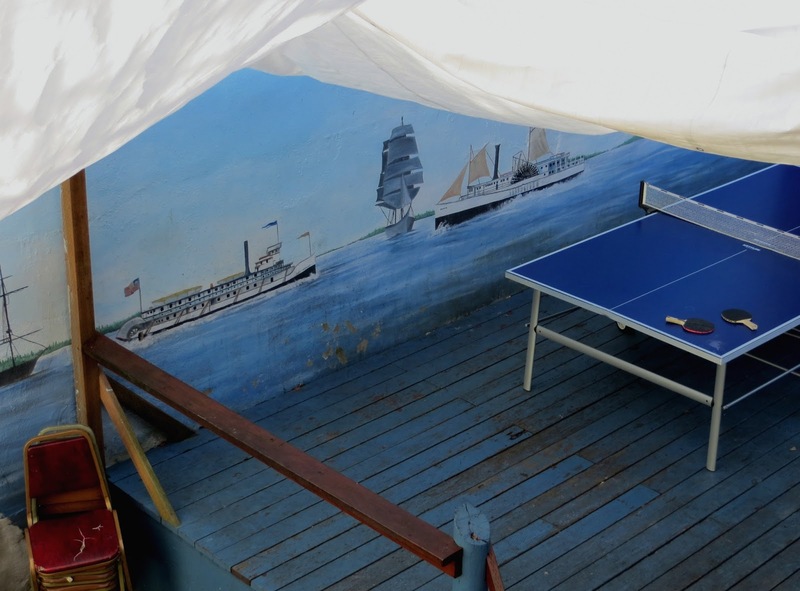 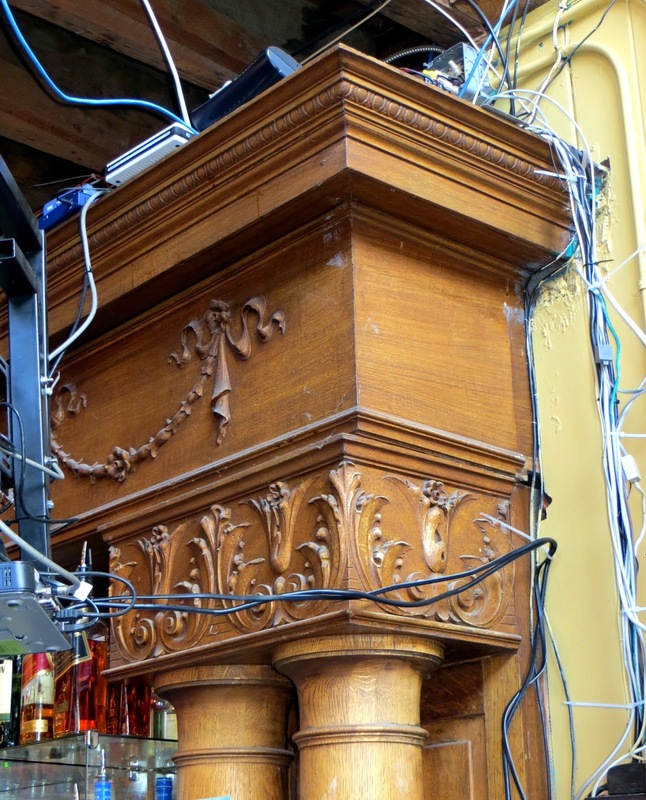 It includes a fine old back bar said to have been constructed in the 1880s.